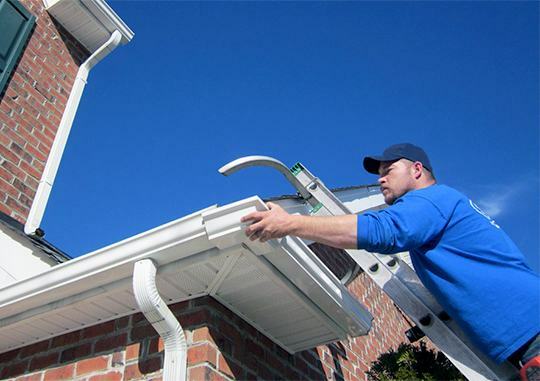 We fix all sagging, leaking, broken gutters and eavestroughing. Please fill out the form below, we will contact you as soon as possible to discuss your needs. Protecting your home from flooding and water damage, your gutters need to be working properly. We provide eavestrough repair GTA residents depend on to keep their homes protected. Whether its leaks caused by improper installation or failing joints, our gutter repair experts will solve your problem quickly and affordably. With over ten years experience providing services, we’re GTA’s top choice for eavestrough repair services. Our technicians are highly trained, friendly professionals with WSIB coverage and full liability insurance. Providing industry leading customer service, we’re here to help.